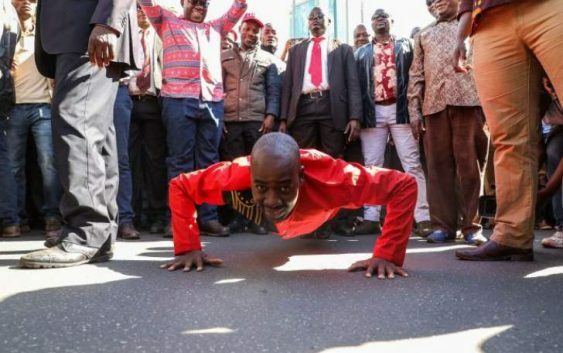 The violent intra-party attacks in the MDC Alliance’s restructuring exercises throughout the country’s ten provinces are meant to ensure that Chamisa clings to power through undemocratic means. His presence in the restructuring exercise is being used to intimidate supporters who harbour interests to change the current leadership within the party. The late Tsvangirai’s family in a bid to protect his legacy has insisted on fielding observers during the MDC Congress to ensure that their father, brother and late founding member’s democratic principles are observed and not trampled upon by greedy and very ambitious, immature and desperate young men. This move seems to have gotten thumbs up from the Civil Society Organisations, Trade Unionists and some Christian Organisations, an indication that the have realised the undemocratic occurrences in that party. This particular move has been made in order to neutralise the toxic elective atmosphere that had already been contaminated by factional fights and also to clip Chamisa’s wings that have been described as over-towering democratic processes. Chamisa’s fear stems from the loss he suffered to Douglas Mwonzora for the seat of Secretary General during the 2014 MDC elective congress.